Before Paris and Nicole dreamed of the simple life, Southern California native Billy Kaufman sold his West Hollywood home and moved to a 300 acre farm in the backwoods of Woodbury, Tennessee. Kaufman was ready to escape the big city life and explore his interest in sustainable organic farming before it was even cool. 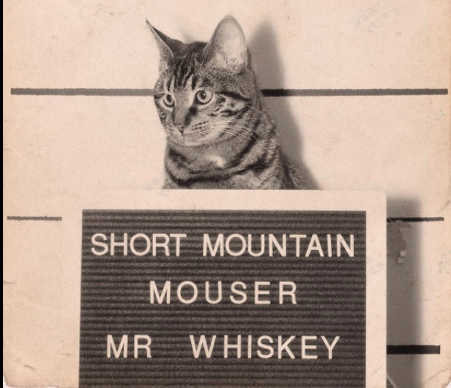 And now he is ahead of his time once again, producing small batch moonshine under the Short Mountain Distillery label, which just won a gold from the International Craft Awards. Kaufman has definitely made Tennessee home. When he traded the Hollywood Hills for the rolling hills of his picture perfect farm in the wilds of Cannon County, he left the designer wardrobe behind and can be found most days in a tee shirt, suspenders, jeans and a comfortable set of well worn work boots. His office is a cramped room behind the still with two big desks and a jaunty cat, of questionable friendliness, named Mr. Whisky curled up on a pile of papers. As we talk, Kaufman absent-mindedly strokes the motor-boating feline. His dark eyes glitter and his handlebar moustache dances as he tells the type of stories that make sipping moonshine so interesting. This drink is more than a little naughty. It was only a few short years ago that it was still illegal to have a sip. But Kaufman would have none of that. “Not long after I moved here I was was approached by some of my new friends to put a still on my land; it does have the best natural cave spring in the county,” Kaufman said. “I agreed to put a still on my farm, but not the illegal kind. After a legal referendum and a local election, I was able to have the laws in this conservative, dry county changed to allow for the legal distillation of spirits. Soon the former illegal moonshiners were working legally. Although, I have heard there are still illegal still out in the hills.” A devious grin crossed is lips when he shared that last piece of information. Not too long after beginning his distilling adventure, Kaufman enlisted his brothers, David and Ben in his new venture, the Golden Rule Distilling Company. 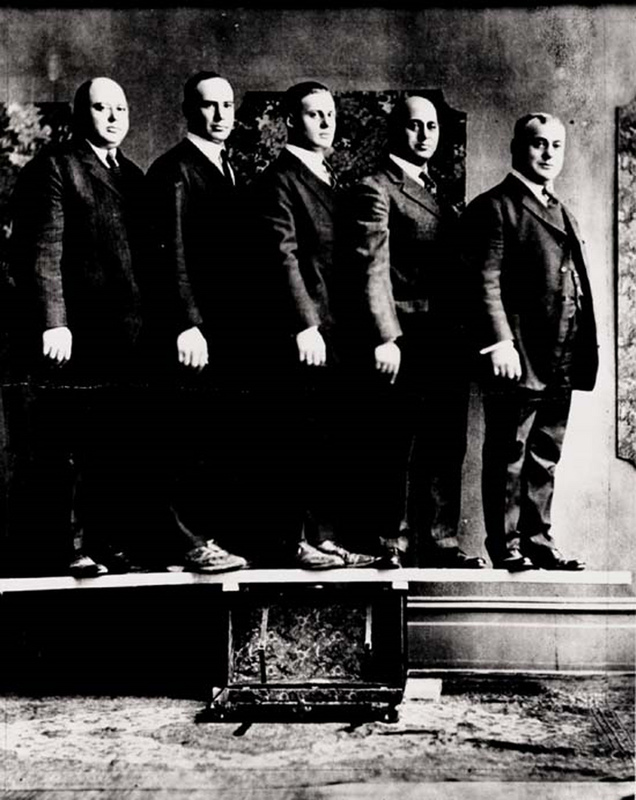 The name is taken from a part of the history in their great grandfather’s company, Samsonite. Jessee Shwader, the family’s patriarch, used to give out Golden Rule marbles to all his employees, vendors and friends. 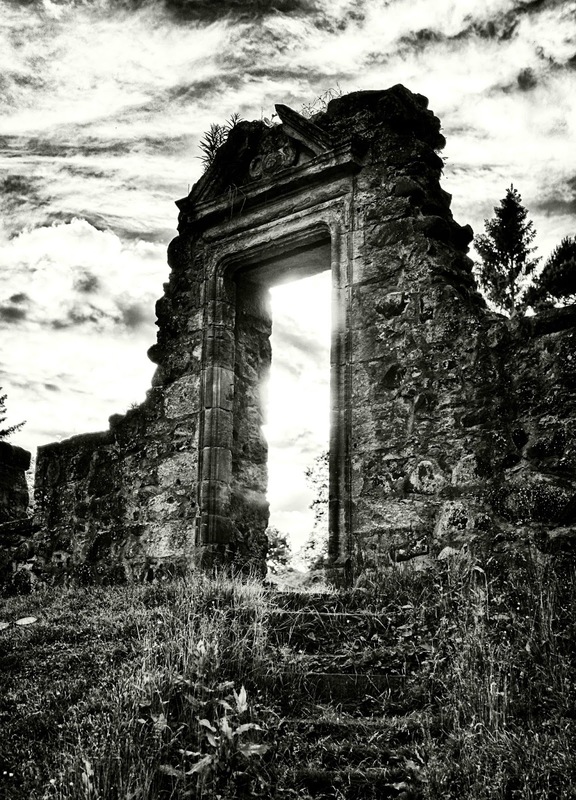 It represented the values of the company, its’ founders and their families. Kaufman felt it was important to create jobs in the community, and hired the Smothersman Brothers to work the 250 copper Vendome still that was installed into a converted pole barn. The Golden Rule team quickly developed a unique sugar shine as their first product, an authentic moonshine recipe practiced for generations in Cannon County. It was a huge success, and shortly thereafter came Apple Pie and then Prohibition Tea. They have begun to barrel Bourbon and have plans to release a Tennessee Whiskey. This distillery makes 100% of it’s own products and is competing in the high end, organic segment of the market. Kristen Stewart’s directorial debut, Sage + Saint’s “Take Me to the South” video, was partly shot on location there. As a matter of fact, the goat in Kirsten’s arms from the photo that exploded all over the internet belongs to Kaufman. Two other famous visitors were Shannen Doherty and HollyMarie Combs. They visited the distillery while shooting a their new show for GAC, Off the Map. You’ll be able to catch a glimpse of the distillery on their show in 2015. Now, those of you living in the LA market can get a taste, too. Just a few months ago, Ben Kaufman returned from living on the Tennessee farm to his Los Angeles home to bring Short Mountain Distillery products to Southern California. You can find Short Mountain Distillery products in the following retail locations: Compliment Wine in Beverly Hills, the Cask in Beverlywood, Greenblatts Deli in Hollywood, Green Jug in West Hills, Wades Wine in Agoura, Colony Liquor in Malibu and Hi-Times in Costa Mesa. It is also available at SHOREbar, Plan Check, Perch, and The Monty Bar. 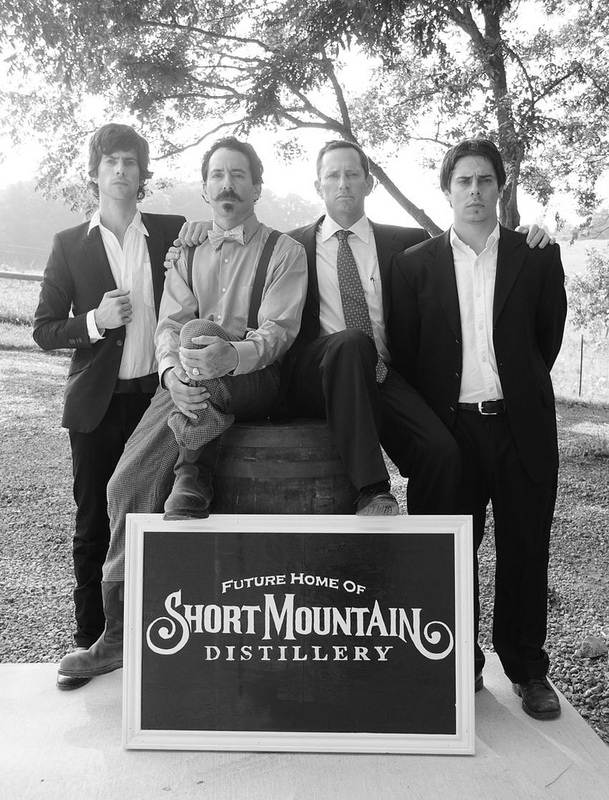 You can also find them on the web at www.ShortMountainDistillery.comhttp://www.shortmountaindistillery.com or at Facebook at www.Facebook.com/ShortMountainDistilleryhttps://www.facebook.com/ShortMountain?rf=277677492309212.